Among environmentalists, bee populations are a common concern. With the huge amount that they contribute to pollination of so many of the foods we eat, there is no other animal upon whom we depend more thoroughly, and their rapid decline is a threat not only to human food, but to the ecosystems in these tiny animals’ habitats. One of the oft cited ways to help the bee population is to support bee farming through buying honey, beeswax and bee pollen, or by starting your own hive. But how can we save our little friends if we don’t understand and value them as living beings, and not just “things” that we use? With how much we owe to these beings, it is only fair that we consider their wellbeing, and the wellbeing of their ecosystems, in our efforts to keep them around. To many people, it may be surprising to learn that honey bees are not native to North America (and, in fact, native North American bees do not produce honey). Honey bees were introduced to this continent by Europeans in the 16th and 17th centuries. Like many invasive species, honey bees are often destructive to natural ecosystems rather than beneficial for them. Their presence brings competition to native pollinators, on whom many native plants and ecosystems depend; they are not as effective in pollination as native bees and other native pollinators; and, as a perk, native bees are much less likely to sting people than honey bees. We are left in an ironic predicament in which humans bringing honey bees to North America has significantly damaged populations of native bees, which hurts our ecosystems, yet this lack of native pollinators means that we turn instead to our domesticated honey bees to replace their role in natural ecosystems as well as human food systems. However, this doesn’t mean that we should begin domesticating native bees and using them for their labor in place of honey bees. Honey bees are transported around the country to pollinate different crops, which is how many food crops – such as coffee and many different fruits – are able to produce the yields that U.S. consumers demand. This transportation is highly stressful on the bees and can make them more vulnerable to disease, which is a major reason for the explosion of colony collapse disorder (CCD), the name for the sudden disappearance of worker bees in a colony. Beekeeping inherently involves hurting and killing some of the bees, and usually involves practices like killing the queen prematurely because of a reduction in her productivity, stimulating her to lay more eggs than is natural or healthy for her, and preventing the bees from creating new hives because it slows honey production. It may seem that these practices aren’t particularly cruel when done to insects, but there is considerable evidence that bees are complex thinkers and communicators, and experience emotions like any other animal. As in so many things, honey bee farming is both less ethical and arguably less sustainable than supporting wild, native bees. It is hard to say whether we can continue producing enough food and phase out honey bee farming. But it would be in our best interest to do so, because we know that native bees are better pollinators than honey bees and better for our environment. Their numbers are suffering as much as those of honey bees, but due to pesticides and habitat loss rather than being farmed. It may take some reworking of our food systems, but it is possible that wild, native pollinators can provide us with all the pollination we need. In fact, they already pollinate a significant portion of our food crops. Make your yard a habitat for native bees: leave places for native bees to build their nests – small holes in wood, hollow plant stems, undisturbed exposed ground, and tree snags make good homes for bees. You can buy “bee hotels” or make them yourself. Provide them with a safe water source. Buy organic food whenever possible – pesticides harm native bees and are a major cause of CCD. Avoid supporting the farming of honey bees, even – or especially – when done by local, small farmers. This is most easily done by not buying honey and beeswax – here are ways to replace honey and beeswax. Plant native plants that native pollinators love. 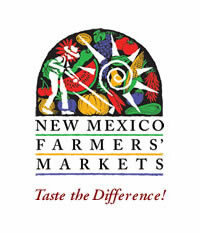 To help native New Mexican bees, buy local fruit. Suggest your supplier look into farming with the help of native bees. Tell your local representatives that you believe native bees are essential for our survival and our planet’s survival, and encourage them to do whatever they can to help native bees thrive – for example, limit pesticide use, preserve habitats, and help move towards ecological agriculture. A habitat for mason bees at the Rio Grande Nature Center. Photo credit to author.